This is a great way to start with Swagbucks and earn $18 in gift cards (1800 SB). Because you're signing up with me, you get a bonus 300 SB when you complete this offer before November 1st! The bonus will be applied later in that week. You can do all sorts of online activity on Swagbucks to earn SB, including other offers like this one! Then you can turn your gift cards in to PayPal cash of gift cards to places like Amazon, Walmart, Target, Starbucks, and more! 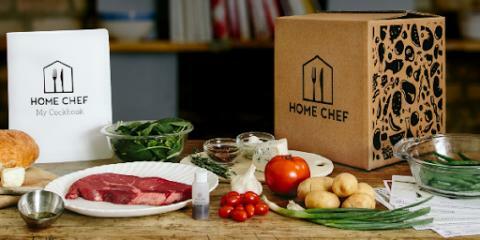 I have been wanting to try Home Chef. This is a perfect chance to try it and earn more SB!